Commemorates the 100th anniversary of the signing of the Armistice! Comprises an example of all six circulating Australian coinage denominations, struck to sublime Proof quality! Includes a unique, one-year-only $1 type never to be released for circulation! All Proof coins are housed in stylish, official RAM packaging. Take advantage of discounted postage and Double Bonus Points until December 31, 2017! Australia's primary annual numismatic archive is yours for just $100! Defined by a splendid, Proof-quality strike, carried out to the exacting standards of the Royal Australian Mint, the much-anticipated 2018 Proof Set is here! 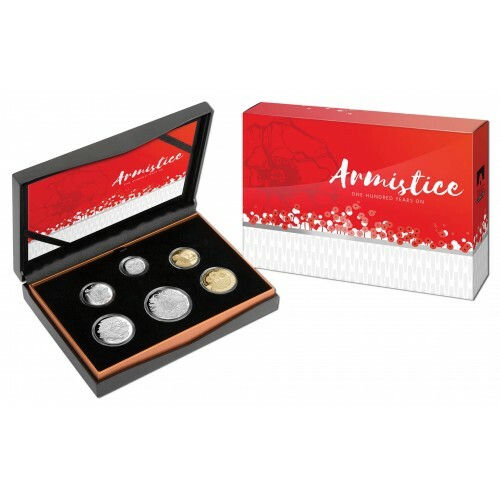 Created with individually polished dies, this sparkling set comprises Australia's coinage in a quality you'll never see anywhere else. 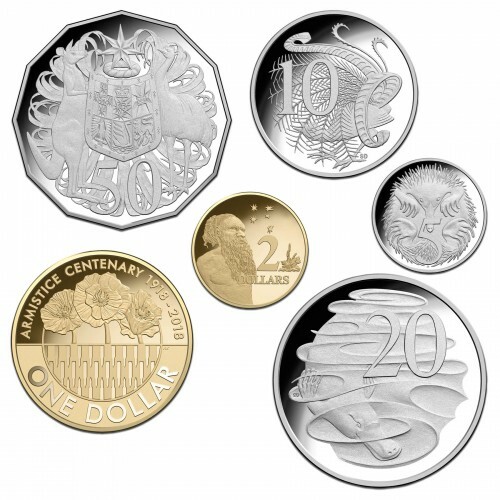 Thanks to the addition of a unique, one-year-only $1 type honouring the centenary of the Armistice, this already critical release is sure to inspire demand from a broad cross-section of the community.